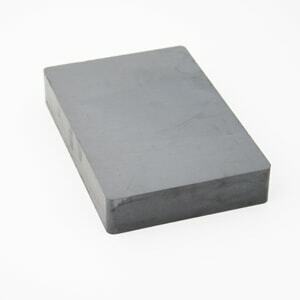 Browse the largest stock of rare earth, ceramic, alnico, flexible strip, flexible sheet, or electromagnets that can be shipped worldwide. 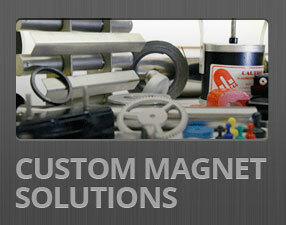 If you don’t find what you’re looking for, we can custom design and manufacture specialty magnets for any application, with a fast turnaround time. 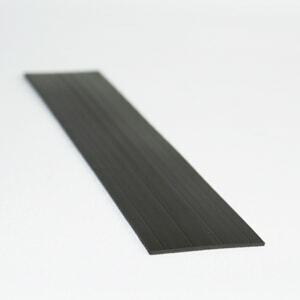 238-A-2-100 - Magnetic Strip 1"
236-A-2-100 - Magnetic Strip 1/2"
Our manufacturing facility is set up for the most efficient process- minimizing turnaround time and enabling us to meet your tightest deadlines. 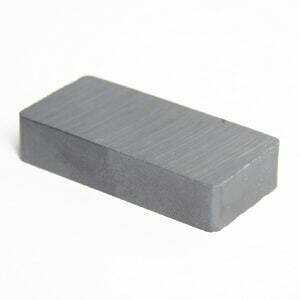 We stock a wide range of rare earth magnets for all uses. 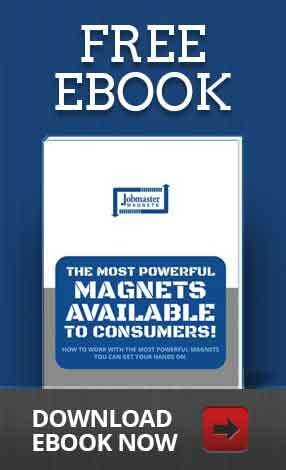 Select from neodymium or samarium permanent magnets- the most powerful magnetic materials available. Ceramic, a corrosion resistant material, is the most popular material choice for most applications. 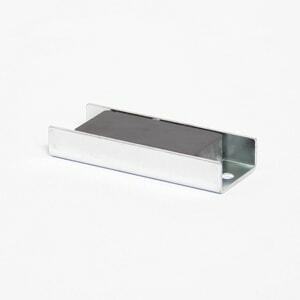 Choose from a variety of shapes and sizes- round, square and bar, as small as a ¼ inch and as large as 6 inches, or request your custom requirements. 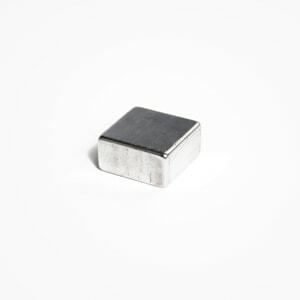 Alnico, composed of aluminum, nickel and cobalt, is well known for its temperature stability and is very reliable in high temperature applications. 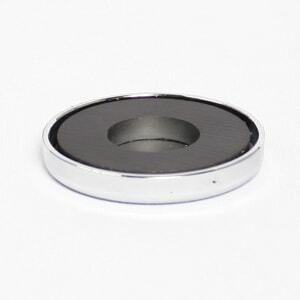 Choose from cylindrical, bar, and disc shaped options. 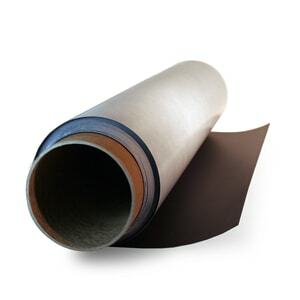 Our flexible strip and flexible sheet options allow you to choose from dozens of stock specifications, or request a custom design for your unique application of flexible magnetic sheets or strips. 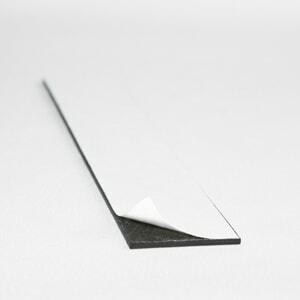 These are commonly used in displays and signage. 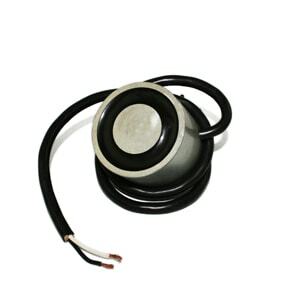 For more heavy-duty requirements, we stock electromagnets that can pull as much as 1100 lbs (and can custom manufacture for even greater strength). 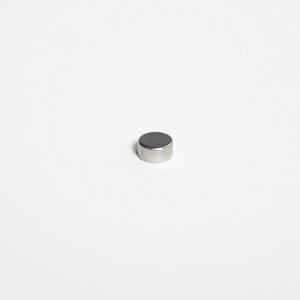 Or for mounting and holding applications, you can select from a wide range of channel magnets, from tiny to large, to cover your range of uses. 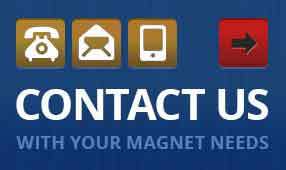 View our large inventory, including everything from large permanent magnets to tiny magnets, and order today for fast shipping.